Joywave drummer Paul Brenner details the creative process behind Joywave’s new record, leaving a mark in today’s murky ocean of music, and how one fancy barn of an Airbnb turned out to make an exceptional recording studio. Joywave have a lot going for them – it’s even been said that the Rochester-based indie pop/rock band will “single-handedly be the salvation of alt-rock,” according to Google user Rome K, who regards Joywave’s music to be a “true breath of fresh air,” regardless of what previously established group their sound reflects. Admittedly, one YouTube comment on the band’s 2012 Audiotree recording of “Traveling at the Speed of Light” – a standout single from debut LP How Do You Feel Now? – carries far less clout than the theoretical words of, say, Robert Christgau or Barack Obama. But when I inform Joywave’s drummer Paul Brenner of the faceless compliment, he’s nonetheless humbled. “That’s awesome,” he chuckles, just a moment after silently considering the powerful implication. 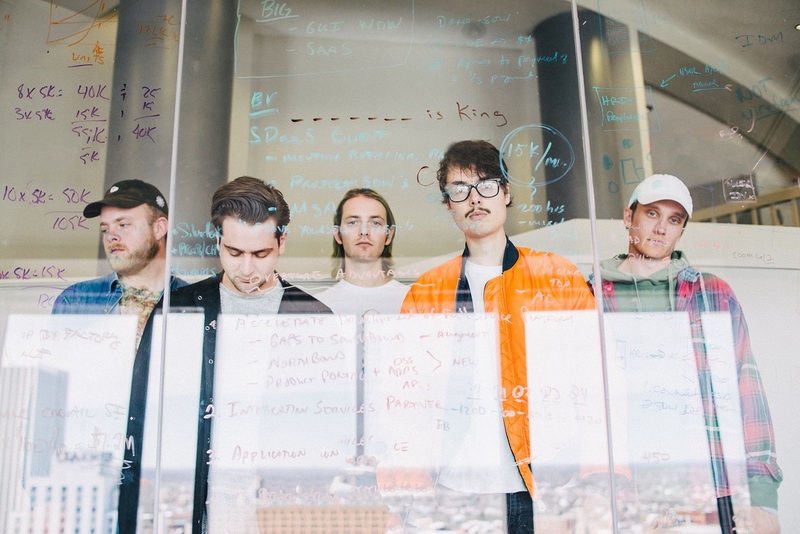 Then, with a bit more confidence, Brenner agrees with the strong opinion that, to an extent, reflects the sentiments of thousands of Joywave fans – a base that’s been multiplying in membership since the Rochester, NY-based band’s official debut in 2015, with How Do You Feel Now? (out 4/21/15 via Hollywood Records). 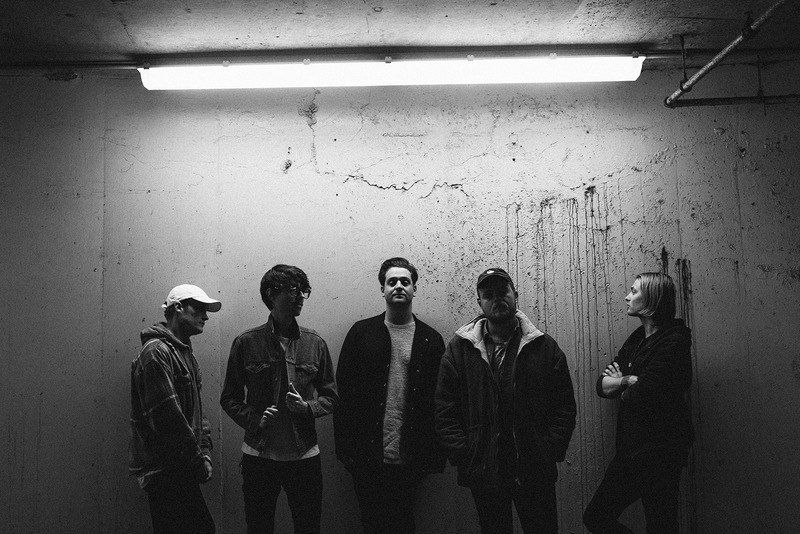 Two years later, the group consisting of Daniel Armbruster (vocals/production), Sean Donnelly (bass/production), Joey Morinelli (guitar), Benjamin Bailey (keyboards) and Brenner are continuing to live up to the wildest, most hyperbolic expectations – like being the best alternative rock band ever. And even if pessimists doubt that Joywave will ever reach that level of holiness, the quintet’s sophomore album Content, released this July via Hollywood Records, proves that trying can be a lot of fun. In an interview with Atwood Magazine, Brenner talks about the creative process behind Joywave’s new record, leaving a mark in today’s murky ocean of music, and how one fancy barn of an Airbnb turned out to make an exceptional recording studio. Atwood Magazine: Daniel’s said he’s happy that people keep getting the album title, Con-TENT, confused with its homophone, CON-tent, because that’s “kind of the point.” – can you elaborate on what he meant by that? Joywave: It started with the meaning behind the title – it was meant to be left open for interpretation, however the listener wanted to pronounce it. For the listener who’s just finding us on the internet and has never heard the title out loud, we kind of liked how it was up to them. I’d like to say it’s very much a direct response to our freshman album, How Do You Feel Now?, but I think if you ask each band member, they may have a different answer for you, really. But it is, technically, pronounced Con-TENT. We won’t be mad if you call it CON-tent, but it’s definitely Con-TENT. You guys took a rather unorthodox way of unveiling Content’s content to the public – week after week, songs were released – totaling out to 5 ‘singles’ from the 11-track album. On the band Twitter account, you guys said that this method was a way to spotlight certain songs because today, new records come out and disappear after short periods of time, especially with online streaming. Joywave: Yeah, exactly, and that’s when Content comes into play – music disappears, people listen to it and the next day they say, “What else? I want more.” So stuff like our lyric videos (for Content) that Joey created are a way to make sure songs don’t vanish into a sea of content forever. Did you guys feel like this happened with HDYFN? – or are you guys just being proactive to avoid the inevitable? Joywave: I think it’s just proactiveness. I don’t think How Do You Feel Now? ever really had a chance to ‘go under the radar’ because of the way it was created – it was very much officially our first album – but realistically it was a collection of songs the band has made over a 10- to 15-year period, so it was a patchwork of a bunch of different eras, whereas Content was made in four months, in a barn, and then we finished it. Speaking of the barn – you guys hung out there in the countryside of Bloomfield, NY. I know that HDYFN? was recorded in a more conventional studio, the place with purple walls, right? Joywave: Yeah, well HDYFN? was recorded everywhere. There were like five songs that were recorded in our studio, and like three or four tracks that I’d done the drums for in like, 2012, in New York City. There were also a few songs that literally were made on Dan’s laptop in his parent’s basement with no real instruments. And not many people know that because it’s very much an album that’s meant to flow, but as far as how it was created was just different. That’s so sweet of them! And I hear the barn turned out to be great for acoustics. Joywave: Oh, it was unbelievable, yeah. The natural wood and the large ceilings and the huge, open space created amazing tones, especially for the drums – it was really cool. We used two microphones and we put them at the top – like, if you think of a barn and how the roof forms a point at the top – in each corner and it created this amazing sense of huge, natural stereo-acoustic sound. It was a collective idea that we had because we were playing around with mics, and the ones were using just happened to be really nice ones – and we had a giant room that we’ve never had, so we just had fun with it. It was really funny because we had to do a lot of the drum recordings late at night, at four or five in the morning, because as far as the barn was from everything, there was traffic, like semi trucks and other trucks. So while I was tracking, if a truck drove by, you would actually hear it – the mic would pick up the truck – and it would pan from left to right in my headphones. It was like when kids are playing hockey in the street and a car comes and you have to move the goal; we’d have to stop the take and wait for the truck to drive by, and then start the take again. So did Sean and Daniel do the production in the barn, or did they do that elsewhere? Joywave: Nope, they did it right in the barn. Sean and Dan lived in the barn for four months, I lived in there for probably a month. The drums are first, so we spent like two weeks doing that – then I just stayed. I overstayed my welcome [laughs]. It was a revolving door – band members would come almost every day because it was close enough to Rochester that nobody had to actually live there, unless they wanted to. And for Dan and Sean, it was such a nice creative island for the two of them, to be away from it all, not influenced by anything else going on. So I know that Dan writes all of Joywave’s lyrics, but the opening lines of “When You’re Bored” allude to a very specific bubble, which makes me wonder if topically speaking, the song has anything to do with non-album single “Life in a Bubble I Blew.” Is this hunch correct, are the two tied? Joywave: I can tell you that the two songs were written during the same time period in which all of Content was written – but I don’t know quite honestly. I wouldn’t be surprised because he’s done that before – he’s actually linked lyrics with melodies from mixtapes and past albums and turned them into recent stuff, so I wouldn’t put it past him. The album artwork for Content is some of the best of 2017 so far. It’s contrast of brightness and darkness grabs one’s attention, and the typography is all over the place in a positively overwhelming way. How did you guys come up with the design? Joywave: It was a whole two-month ordeal of just messing with that image and trying to get it correct. The creative department at our label found someone to design it for us – I’m probably the only band member who had literally no say in the record cover. It’s not that I don’t care – I love it! Every time we would get a proof back, I would say like, “I love that,” or “this one’s better,” so I was very much a jury in the process, but I wasn’t exactly on the email chain. I think it’s incredible, though. As we were talking about earlier, the whole “sea of content” thing, and how things can get lost so easily… I feel like our album cover encapsulates that theory, by its own design. And, at the same time, it’s noticeable in a sea of content. Like on Spotify, you can pick it out because it’s bright and gorgeous and stands out. 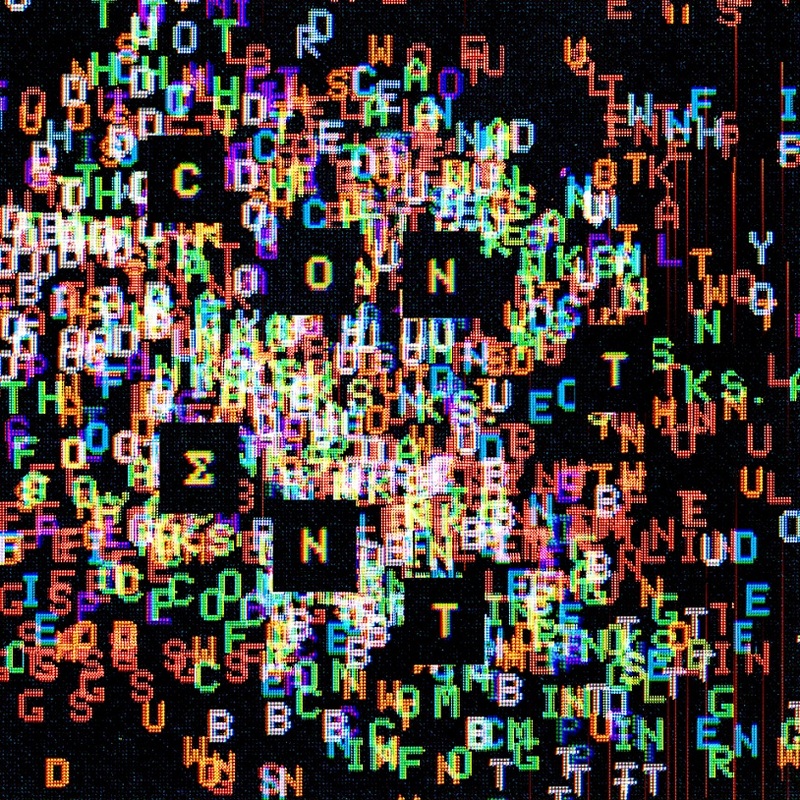 Totally, it’s definitely some of my favorite album art – I just really like how the letters stand out against the blackness, and it’s kind of computerized. Joywave: Yeah, the first couple of drafts didn’t have those layers. And that’s what kind of changed everything, layering the letters and giving it that digital vibe, like CRT monitor-style – which could be an outdated reference, but like the “Matrix”-style displays. You guys just announced a headlining show in LA at the Troubadour! This is Joywave’s first headline in a while – what antics should Californians expect to witness on stage? Joywave: Yes, it has been a minute – it’ll be very exciting. The last time we were at the Troubadour we were headlining, and that was almost two years ago. I don’t know if anything crazy will happen, but I have a really tall riser now with my drums. It’s like four feet tall and so dramatic but it’s awesome. But a lot of the venues on this run (with Cold War Kids and Young the Giant) are just huge amphitheaters. When you’re sharing the stage every night with two other, huge rock bands and everyone’s got their production and all this and that, you have to get creative with some of the risers and the stage plot. Will the world be blessed with more Joy Meets World episodes? Please say yes. Joywave: Those are some of our favorite things every and they’re very dear to our hearts. I don’t know if we’re ever going to officially do like, episodes or seasons like that again – I’m sure we will – but Joey is the mastermind behind those. He’s always filming, constantly filming. I don’t know if you’re up to speed with us on Instagram or any other social media, but every single night after the show, Joey does a recap video of the night before and posts it the following day. He puts a lot of time and effort into those, and I’m pretty sure that’s what’s going to be replacing Joy Meets World because they’re very similar in mood and vibe. We’re just constantly trying to put out content that sets us apart in the sea of music, and I think Joey just kills it with those videos, whether it’s Joy Meets World or the recaps, or anything he does. Like the lyrics videos, too, they’re just a great way to show personality to people. I think the Joy Meets World and recap videos offer a nice little window into our lives, because we’re all living our dreams right now, but it’s still work, and it’s very grueling – physically and mentally – and it’s also the best time ever, with all the highs and lows. So I think the video content sums that all up perfectly. 09/10/17 – Columbus, OH @ Express Live! Sydney is a staff writer at Atwood Magazine. She studies journalism in San Diego, California, and mostly reports on arts and culture. Talk to her on Twitter (@syderature) or Instagram (@syd.oh).